Google has been tapping top directors from animation with its Google Spotlight Stories, short animated films in VR. We couldn’t help but praise the heartwarming “Pearl,” a Google VR short directed by Patrick Osborne (Disney’s “Feast“). Today, a new film, “Age of Sail,” has been announced, and it’s directed by John Kahrs. The name may not sound familiar, but he’s the one behind the charming Disney short, Paperman. The trailer has been released along with the announcement that it will be having a North American premiere at the LA Film Festival. “Age of Sail” is having a North American Premiere during the LA Film Festival’s VR & Immersive Storytelling Showcase: The Portal. Attendees of the festival can check it out at the Loyola Marymount Playa Vista campus on September 22nd and 23rd. The film will be Google Spotlight Stories’ longest film yet. Synopsis: Set on the open ocean in 1900, AGE OF SAIL is the story of William Avery (played by Ian McShane), an old sailor adrift and alone in the North Atlantic. When Avery reluctantly rescues a teen (played by Cathy Ang) who has mysteriously fallen overboard, Avery finds redemption and hope in his darkest hours. Age of Sail’s world premiere is this week at Venice Virtual Reality at the Venice Film Festival. 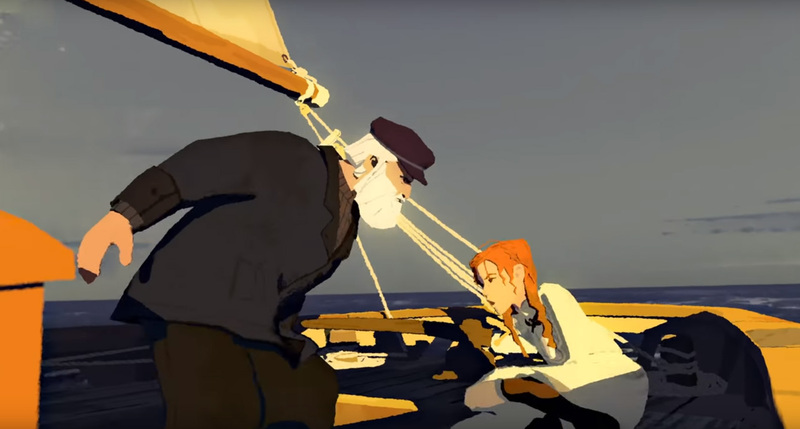 The post Disney’s Paperman director working on Google VR animated film, Age of Sail appeared first on Nerd Reactor.